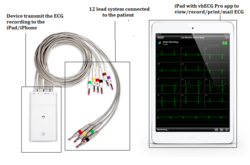 We would like to introduce ourselves as the importers and exclusive distributors of Vales and Hills iCV200 Rest ECG Monitoring device on iPod/phone in India. iCV200 is Innovative, Intuitive and Simple and a unique gadget meets for all your professional demands in cardiac world. It is more than ECG machine. With the constant support of our expert team, we are engaged in presenting a wide assortment of ECG Machine. Our products are made of best components using superior techniques. Our offered products range has a long service life and gives a pleasant performance to the user. It is resistant to abrasion and dimensionally accurate in every aspect. Our offered ECG Machine is easily used at different industrial sector. 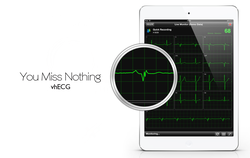 ECG Monitoring iCardio View, is introducing Vales & Hills ECG Mornitoring Device in India. iCARDIOVIEW: Innovative, Intutive and Simple and a unique gadget meets for all your professional demands in cardiac world. Profession Meets Fashion- Its more than an ECG machine. 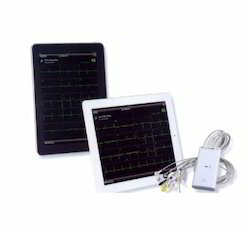 With the support of diligent and skilled workforce, we are distinguished as one of the well equipped organization engaged in offering a wide range of ECG Recorder. This ECG Recorder is developed using the superlative quality of raw material and most advanced machines in compliance with the industrial quality standards. To meet the specific needs of our prominent clients, we offer these products in industry leading prices.